When I was very young, I knew that I wanted to adopt a little girl from China. 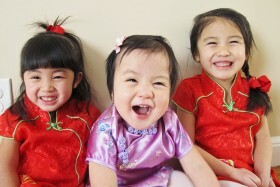 Stories of baby girls being abandoned because of the one-child policy made a strong impact on me. I grew up, got married to a wonderful man, and we spent 9 years having “the longest honeymoon ever,” rarely even thinking about starting a family. But then I learned that the climate in Chinese adoption had changed… the problem was not as much about healthy, baby girls being abandoned, but more about orphanages overflowing with girls and boys with special needs. When I learned that one of these needs was thalassemia — a blood disorder that I was born with — I knew that one day we would be parents to a little girl from China with thalassemia. I am so fortunate to have a husband who was supportive of this dream and just as excited about creating a family through adoption as I was. For us, the only way we wanted to have a family was through adoption. Having a child who shares our DNA doesn’t matter to us. Giving a family to someone who needs one trumps everything else. It was one of the easiest decisions we have ever made. 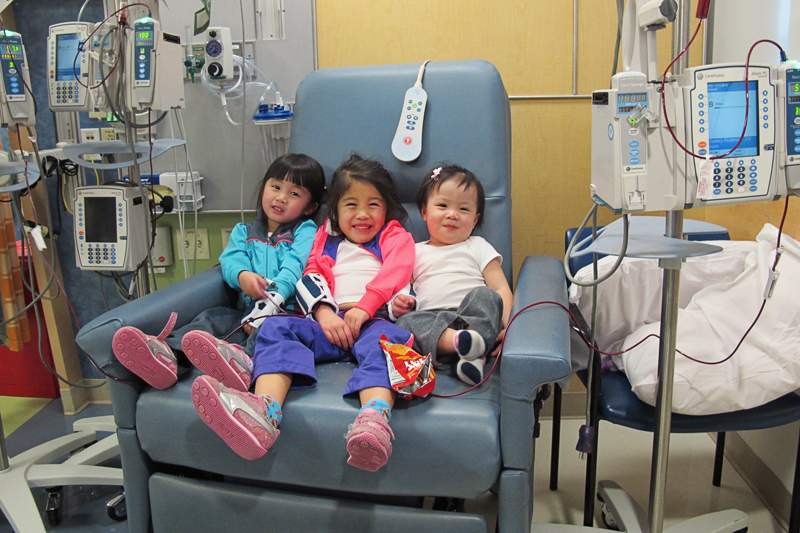 We fell in love with each of our three daughters the minute we heard their diagnosis: thalassemia major, requiring transfusions. Sure, the little pictures in their files were cute, but it was seeing that word — thalassemia — that made our hearts skip a beat. But even for me, someone so intimately familiar with the disorder, it sounds a little scary. And, it should. Thalassemia is a life-threatening disease if it’s not treated properly. And, unfortunately, due to blood shortages and the sheer expense of treating thalassemia, orphans in China are often not the recipients of the care they need. Especially in the south of China, there is often a blood shortage, where blood is rationed or not given at all. Children living in orphanages are frequently under-transfused. Older children may not be chelated properly. Overall their general medical care is not what it would be in the United States. From the records we received when we met our daughters, we know that they were not being transfused properly, receiving sub-optimal amounts of blood, and not necessarily on the correct schedule. Each of them had hemoglobin levels that were dangerously low. For instance, we learned that Francesca was receiving only small amounts of blood every other month, just enough blood to get by. She came home with a hemoglobin in the 5s. While Emmie was in China, she frequently had hemoglobin levels in the 3-6 range. She would spend a week in the hospital to get a transfusion, because she would often have to stay there and wait for a unit of blood to become available. Rosie’s hemoglobin once fell to 1.8 while in her orphanage, which could have been deadly. Being this undertreated may not be the norm, but it is fairly common to hear stories of children in Chinese orphanages living like this. Waiting for your child who is on the other side of the world is stressful no matter what. In the case of thalassemia, you worry that the wait may become a life or death situation. Because, unfortunately, for some it has. During the paper chase for each of our girls, we became their biggest advocates, pleading with everyone from our agency, to our Immigration Officer, to CCCWA to get our daughters home quickly. It actually proves to be great practice for life after they come home. When you are the parent of children with a chronic disorder that requires daily management, you become an expert in medical advocating. And as the strong “Mama Bears” we all are, we welcome the challenge because these children are so worth it. Today, I still worry about thalassemia, but it is very different than those long days when our daughters were still in China. I know that they are receiving world-class care now that they are home. Now, they are being transfused adequately, chelated properly, and receiving all of the other specialized comprehensive care that patients in the US—like me—are so fortunate to have access to. I truly believe that they are receiving better care here than they were receiving in China. Just like adoption and many other meaningful endeavors in life, thalassemia is not easy. It involves time spent at the hospital receiving blood transfusions every 3 weeks. Patients must take daily chelation medication. Rosie takes an oral medication twice a day that is not without its troubles. Emmie gets stuck with a needle 5 nights a week and wears a pump for 10 hours for her chelation. Patients require lots of monitoring, including yearly MRIs and visits to many specialists. But all of this simply gets weaved into your wonderful, fulfilling life, just like your children get grafted into your heart. We spend much more time playing and singing and cuddling and having fun and loving each other than we do thinking about thalassemia. To me, thalassemia is beautiful. It is big, dark eyes. It is the softest skin I have ever felt. It is a perfect mouth, a happy dimple, and chubby thighs. It is three girls giggling and dancing and baking cookies. It is the tightest hug wrapped around me. It is the words, “I love you, Mama” that still make my eyes glisten with tears. 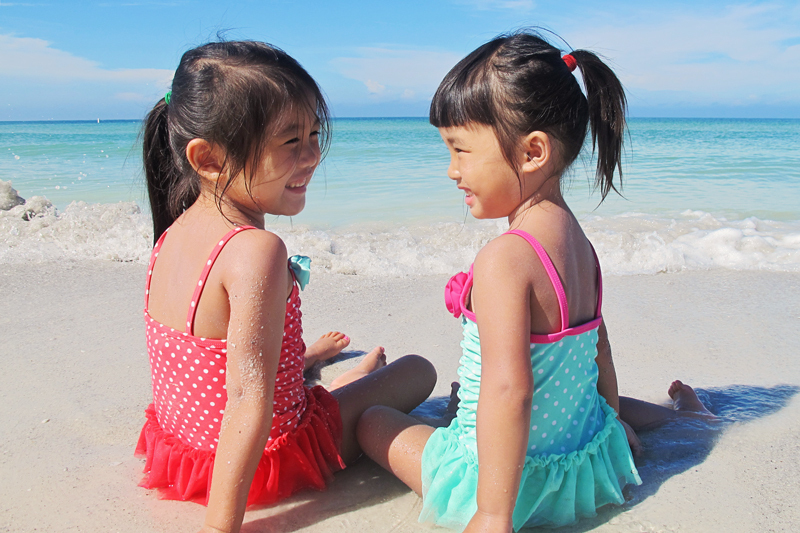 The word thalassemia means “the sea in the blood.” I may not share the same DNA as my daughters, but we all have the sea in our blood. Which is perfect, because there is nothing that we love more than warm days, salty skin, and sitting by the sea. RainbowKids would like to thank Tracy and No Hands But Ours for sharing this beautiful family story. 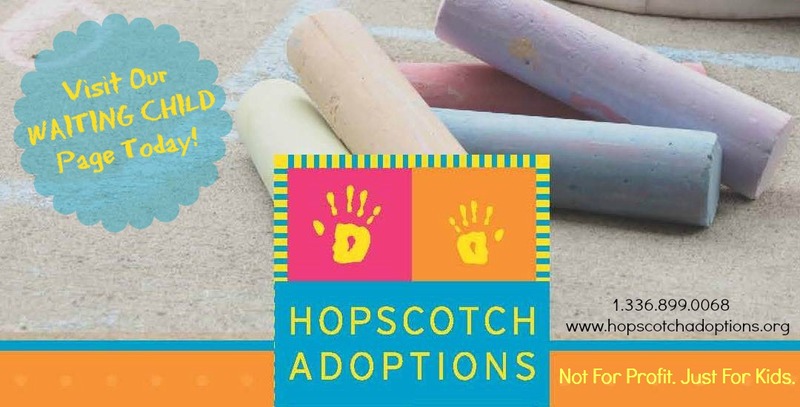 No Hands But Ours was founded and is maintained by a host of adoptive parents focused specifically on special needs adoption from China.